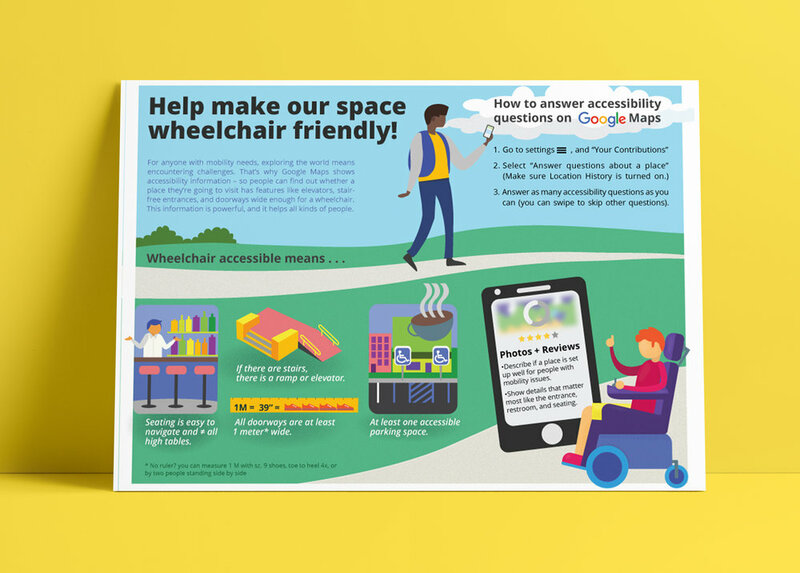 Flyer campaign: Accessibility Information on Google maps. As a Google Local Guide I received an email in September encouraging participation in accessibility-awareness month. My friend is a paraplegic, and I know the troubles she faces getting around, knowing where she even CAN get around, and how communities fail to assist her even in the basic, regulatory ways. I co-designed this flyer to post around our community to show people how they can add accessibility data to Google maps.